The expected loss of Wentworth throws the Coalition into minority government. While the government currently has pledges of confidence from some crossbenchers, they would be in a strong position to demand concessions in a hung parliament. Independent Kerryn Phelps was more than 1600 votes ahead on Sunday night and still on track to win Wentworth, after a dramatic narrowing of the margin earlier brought Liberal candidate Dave Sharma back into the race. Phelps received a fillip during the day after a recount found some errors in preference tallies in the Bondi Beach and Bellevue Hill booths. Phelps’ margin had begun to shrink at the end of Saturday night in the count of prepoll votes. Her lead was then pushed down at the start of Sunday with the count of some postal votes. There are still several thousand postal votes outstanding, which can come in up to 13 days after the poll. On a two-candidate basis Phelps is now leading the Liberals Dave Sharma 51.1% to 48.9%. ABC electoral analyst Antony Green said on Sunday night that Phelps looked to have enough votes to survive a trend against her in postal voting. Sharma, speaking on Sky on Sunday night, conceded it would be hard for him to make up the gap. The expected loss of Wentworth throws the Coalition into minority government. While the government currently has pledges of confidence from some crossbenchers, they would be in a strong position to demand concessions in a hung parliament. Phelps has said she prefers governments to run full term but has left in qualifiers, when pressed on the issue of whether she would give confidence. She said on Sunday: “The government and all governments should go full term unless there are exceptional circumstances, and the next election is due in May next year and that’s time enough”. Prime Minister Scott Morrison was in touch with Phelps on Sunday. He repeated at a news conference his Saturday night message that the result demonstrated the great anger over the leadership coup. Morrison also said he and Sharma had unsuccessfully asked Malcolm Turnbull to intervene in the campaign. What impact such an intervention would have had “ultimately is for others to judge,” Morrison said. He reiterated the government’s intention to serve its full term. There was no reason why it couldn’t serve in minority, he said.“That is not an uncommon circumstance”. “What I will continue to do is be working closely with the crossbenchers, as I have been doing,” he said, noting the government had not had a majority during the byelection period, and hadn’t lost one vote in that time. Sharkie, who had guaranteed the government confidence until after the byelection, said she wanted to hear how Morrison was going to deal with the children on Nauru. As well, there needed to be an action plan for tackling climate change, she said – although the government on Sunday signalled there would be no change in its climate policy. Sharkie said: “I don’t want to hold the government to ransom but I want to hold them to account”. “The instability has to stop. I hope the government will knuckle down and deliver good governance.” Her electorate of Mayo, and the rest of the country, did not want to go to an early election. 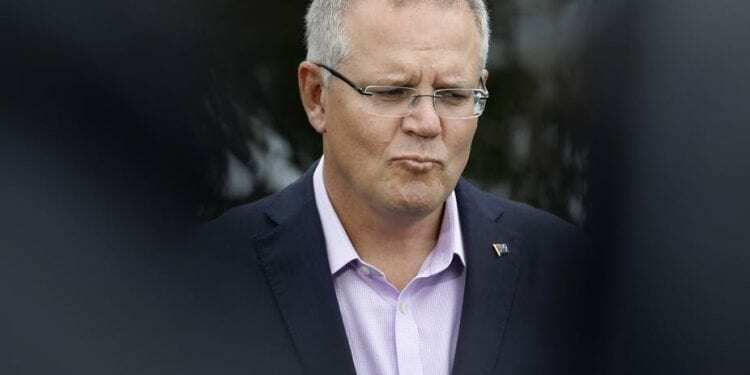 Sharkie said she was not sure, from Morrison’s Saturday night speech, that he had got the message from Wentworth, but hoped he had thought it through overnight. “I’m not sure we have an understanding of what is the vision of the Prime Minister and his team,” she said, pointing to the chaos of last week. The government was “all over the place” on the Middle East, she said. She also expressed amazement that government senators had voted by mistake for the Pauline Hanson “It is OK to be white motion”. “I don’t buy that argument. We in the Centre Alliance go through all these motions, make notes on the notice paper and the senators keep up with what they are voting on”.